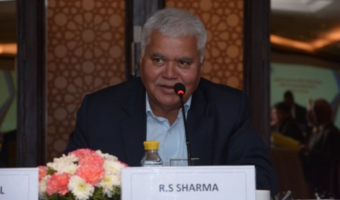 Reliance Jio is yet to roll out its high-speed broadband service- Jio GigaFiber in major parts of the country, but the ISP is already making a mark in the industry. 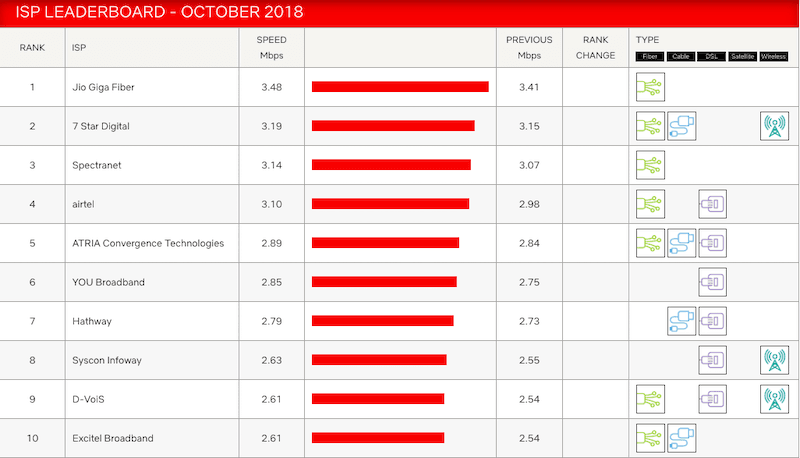 One of the reliable reports- the Netflix ISP Speed Index report for the month of October 2018 reveals that Jio GigaFiber is offering the best streaming service in the country. It might come as a surprising news, but in various parts of the nation, Jio has started providing broadband services under JioGigaFiber Welcome Offer. Notably, this is the second consecutive time Jio GigaFiber has ranked first as the ISP achieved 3.41 Mbps speed during the month of September 2018. In the month of October 2018, the speed has been increased marginally to 3.48 Mbps, ahead of 7 Star Digital which is in the second position with 3.19 Mbps speed. 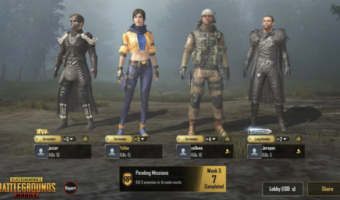 Earlier, Spectranet used to lead the chart, but the ISP has now revised its broadband plans and made them pricier which ultimately led to its downfall. To recall, Reliance Jio’s head Mukesh Ambani introduced the Jio GigaFiber service during the company’s 41st AGM this year. Soon after the announcement of the service, it was available for registering. Even before the official rollout, the broadband service is looking great on the leaderboard. The company, Reliance Jio, claims to offer fast internet speeds at attractive prices to the price conscious Indians. The entire Jio GigaFiber service is designed on similar lines. A couple of months ago in September, Jio GigaFiber made its first appearance on Netflix Internet Service Providers (ISPs) speed Index list and as expected managed position itself in one of the top positions with an average playback rate of 3.41 Mbps. The October Netflix Internet Service Providers (ISPs) speed Index list is now out, and the scenario yet again remains the same. As per the October Netflix ISPs, Jio GigaFiber has managed to beat the rival services with an average playback rate of 3.48 Mbps. Jio GigaFiber rules the ISP LeaderBoard of Netflix for consecutive two months, while Airtel slips down to the fourth position as of October list. The October Netflix Internet Service Providers (ISPs) speed Index list shows that while Jio GigaFiber tops the list, Airtel settles for the fourth position. The list further shows that Jio GigaFiber is followed by 7 Star Digital, Spectranet and Airtel. Not only that, but Jio GigaFiber also manages to beat some of the popular broadband service providers like Hathway and BSNL. To recall, Spectra used to top the Netflix’s ISP leaderboard a while back, but now, Jio GigaFiber has replaced it. 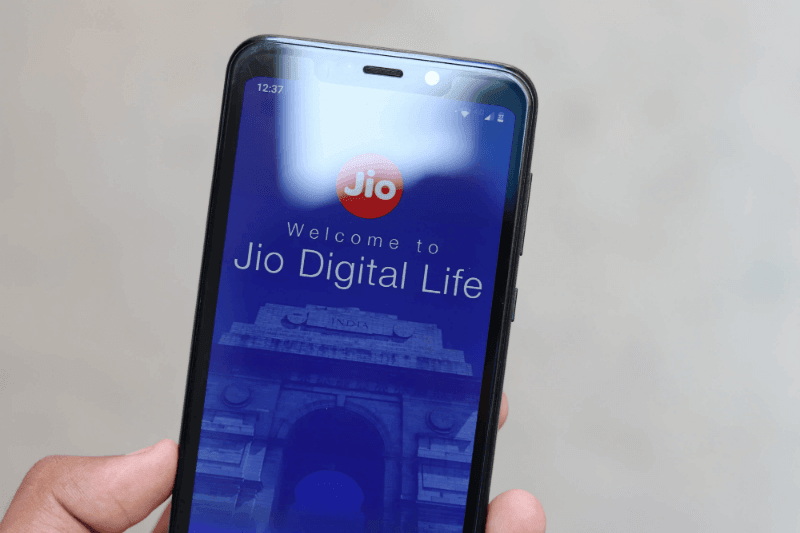 The official release of Jio GigaFiber is yet to happen, but Jio has already started rolling out the broadband service to some users for testing. 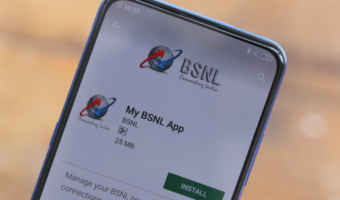 The official release is expected to happen soon and the service is said to be available in 1,100 cities across India. It’s astonishing to see Jio already making a mark in this way. The Netflix ISP Speed Index measures the bitrate of the videos being played, not the speed at which the video buffers. For instance, if I am playing a 1080p video on Netflix, and its bitrate is 7Mbps, that stream will be logged as 7Mbps even if my browser is downloading the video at 100Mbps. Can anybody explain how ofc cable get power?how signal get boosted when travel for a long distance?